Doug Martin not shockingly released by Buccaneers. Martin's two good seasons: 2856 yards, 4.7 ypc, 17 rushing TDs. Martin's four other seasons: 1777 yards, 3.3 ypc, 9 rushing TDs. Speaking of which, how the hell is Doug Martin one year away from hitting 30? I know. I mean, the way he ran the last couple years, it's more like he was a year away from hitting 70. I was looking up some old Combine measurements, and just happened upon this chart of the 2013 QB class. Now that they've had 5 years in the league, can we say that this was the worst QB class ever? It has to be near the top if it's not. Geno Smith leads the class in Career AV with 15. No other draft class since 2000 comes anywhere close to being as hapless as those two. Twice now this week I've seen/heard JaMarcus Russell's name. Man that guy really wasted his physical skills. Dude could've gotten a second contract before completely slacking off, like Joe Flacco. JaMarcus got $32 million guaranteed. Took home over $39 mil when including the salaries that he managed to collect before getting cut. Them pre-cap rookies didn't need no steenking second contracts. Yep. That was the year the Chiefs had the number one overall pick and desperately needed a QB. That is bad luck. At least they swung the Alex Smith trade instead of just rolling the dice on that draft. Something totally stupid and meaningless, but at least 90% of the mock drafts I've seen assume San Francisco will win the coin toss at the Combine and get the #9 pick over Oakland. Seriously, virtually every single mock I've seen. Go ahead, go try and find some that have the Raiders picking #9. Instead they took Eric Fisher, who grew from garbage tackle to... mediocre tackle. 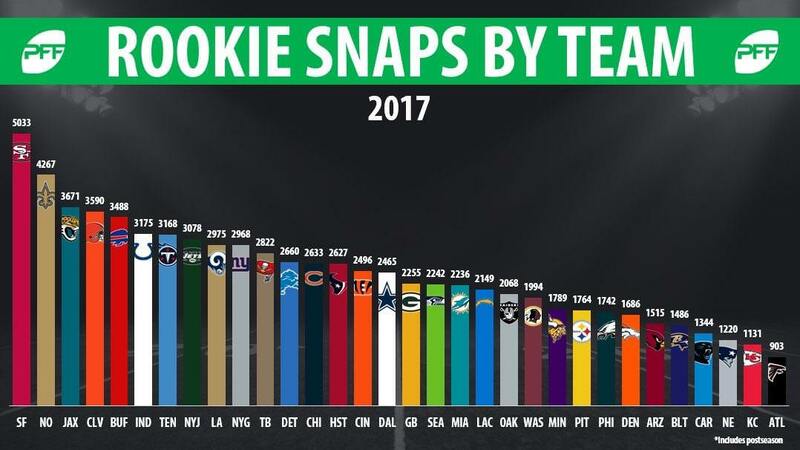 Which I would make more fun of, if not for Luke Joeckel doing even less than that. Dolphins franchise tag Jarvis Landry. Little bit of a surprise. Yeah, at least Fisher came around to decent NFL starter. They really need to upgrade there. I am thinking they could move him to RT to make room for whoever they might get in the next year or two. Of course, he would probably prefer to get LT money elsewhere. Since they needed a LT, Fisher or Joeckle were the only choices. Can’t be mad about that pick. 2013 was a garbage draft in general, not just for QBs. Pretty crazy that 4 of the top 5 made the playoffs. The other was the Browns. Not to me. They need him as trade bait after giving out a bunch of mediocre players longterm contracts. Also, I'm happy this happened simply because the 2018 season has now officially started. Only 65 days and 9 hours until the Draft. 2013 was the best Draft because it was defined by the Manti Te'o hoax. I still don't understand that whole thing. He got catfished, then got embarrassed when the story got out of control. Then A&M fans claimed he was trying to steal the Heisman from Manziel, trying to make it more sinister. I remember one fan claiming Te’o would never make a Pro Bowl, which seems likely. Of course, while not a Pro Bowler, Te’o has had a nice career so far, while Manziel is just now considering taking this football thing seriously. One of the things I "love" about the NFL Draft is it's about as Buccaneers as Buccaneers can be; that first round is filled with marginal players and utter stiffs, and one of the genuinely good players in the top half of that first round is Sheldon Richardson, drafted by the Jets with the pick the Bucs used to trade for one year of injured Darrelle Revis. So, even when jumping out of a garbage draft, the Bucs still managed to miss one of the potential good selections. In 2013, Carolina ended up with Star Lotulelei (a decent starter) and KK Short (a monster). It would have nice had Carolina had more than five picks that year, tho. Looking at that list, Te'o may have been the best player in the draft. Edit: NM: DeAndre Hopkins went 27th to Houston and Le'veon Bell, Zach Ertz, and Keenan Allen went in the second round. It was a bad draft, and people got some good deals. Edit 2: And Tyrann Mathieu went in the third round. Great deal for a bit of weed. My gawd, how didn't I know that Bacarri Rambo is a real person?!? I need to go back and change my son's name pronto! Lane Johnson is a solid RT.. he went 4th overall which is really high but all things considered that was a good pick. Lane Johnson and Ziggy Ansah are the only ones in that top 10 that general managers shouldn't be completely embarrassed to have put there. Dion Jordan did come back from the dead this year, played in 5 games for Seattle and got 4 sacks, and will actually get some free agency consideration. So much talent wasted for so many years. Dude legitimately should have been a dominant pass rusher. That's awesome. Good on him. Alshon Jeffery just underwent surgery for a torn rotator cuff. An injury which he apparently suffered back in training camp, and played through all season. See, that's what you do when you tear your rotator cuff. You don't miss time, you do the whole season, and THEN after the season, you can have your surgery. I think Bill Polian has lost his mind since getting the boot from Indy. He's out there now saying Lamar Jackson should switch to WR for the 2018 NFL draft. That's been said by a few other people, but the reasoning Polian gave is what's crazy: "Short and a little bit slight". Lamar Jackson is 6'3". Also, 211 pounds. 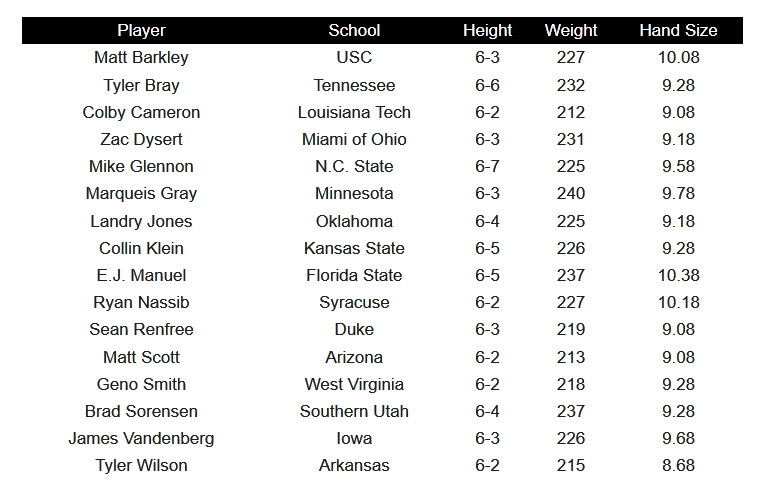 You might be able to argue 211 is a tad "slight" for a QB (3 pounds less than Kirk Cousins' Combine weigh-in, though oddly both NFL.com and the Washington football team's home page list Cousins at 202 pounds now). I've met the kid, he's at least 6'2"
He was also 196 as a freshman, and 205 as a sophomore Heisman winner. I think he's doing alright on the weight. Hey, I was available, but no team called. Seriously a cheap shot, man. 2013 is a weird draft in that you can make a reasonably solid argument the second round was better than the first. How often does that happen? He'll probably get up to around 215 for the Combine weigh-in, which will be "good enough". Jags appear to be letting Aaron Colvin walk, which is disappointing. Nickel corner is a starting position on the modern NFL defense. But you can't pay free agent level contracts to the *entire* defense. Not sure if he's a CB1, but he sure looks like he could be a good CB2. Also, Frank Gore appears to be on his way out of Indy, but he's not looking to retire yet. He wants to play for someone that can use a downhill inside power runner.